PMAKid: I know you were a teacher in the past. Do you miss teaching in the classroom? Have you ever thought about going back to teaching when you are no longer a politician? Actually, I still am a teacher. I teach at a local community college and am on leave from Contra Costa County’s Mount Diablo Unified School District. I loved teaching and coaching, and I’m glad to still have contact everyday with the young people who will shape our world in the future. But I’m also glad to have this opportunity to help shape and improve education for every child in the state. PMAKid: How many kids do you have? My dad introduced me to Straight Edge music which is all about staying away from drugs and alcohol and keeping a Positive Mental Attitude (PMA). How do you teach your kids to stay away from drugs and alcohol? I have two grown daughters. When they were young, my wife and I made sure the kids felt secure enough to talk to us about anything. Schools are hugely important, but family is still going to be a defining influence in a child’s life. Every family should take time out to talk to their kids about avoiding dangerous behavior, like drugs, tobacco, alcohol, joining gangs and more. Our schools reinforce this message every day. PMAKid: One of my past interviews (Michelle Rhee) said that really good teachers should be paid more money or bonuses. What do you think about that? Teachers and school leaders are among the most important factors in improving student learning—and they deserve to be treated as such. In fact, that goes far beyond paying them equitable salaries. It means treating them as professionals and providing the resources and respect they need to do one of the most valuable jobs there is. You’re welcome to read more about my proposal for an Educator Excellence Task Force here. This idea came out of my Blueprint for Great Schools initiative (http://www.cde.ca.gov/blueprint), and we’ve put together a terrific group to make it happen. PMAKid: One of my past interviewees (Aram Arslanian) said something really cool that I like to ask people about. "I think that school is one of the most important things in life. Although it’s possible to be very successful without a college education I believe those stories are becoming fewer and further between. My father once told me that when you have a good education that you're no longer at the mercy of business and I definitely agree with that. So, I really encourage people to go to college and go all the way to a masters, or even PhD, level so that they can have more control over how they'll be treated as adults." What do you think of Aram's words? In our knowledge-based economy, going to college and being ready for a career have become the price of admission to the job market. Nationwide, 40 million of the 50 million new jobs that will be created over the next decade will require at least two years of college—that’s 80 percent of new jobs. California currently ranks 48th out of 50 states in the percentage of high school seniors who go on to a four-year college. If current trends continue, California will face a shortage of 1 million college-educated workers by 2025. PMAKid: If you could have any other job right now, what would it be? My school district Superintendent said he would love to be on Broadway as a singer and dancer! How about you? There was a time when my daydreams would have been about being an Olympic runner—and I still try to get a run in every morning—but I have to, in all honesty, say I have my dream job. As State Superintendent, my job is to help make sure that every child in the state receives a world-class education. As head of the CDE, we innovate and collaborate with educators, schools, parents, and community partners. Together, as a team, we prepare students to live, work, and thrive in a highly connected world. Great interview Julian! 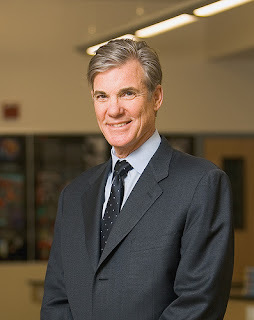 Thank you for exposing me to Mr. Torlakson. I truly had no idea what his position involved. I'm impressed!